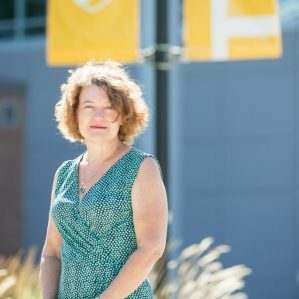 Dr. Natalie Clark, associate professor, Social Work. The girl’s group, facilitated by Dr. Natalie Clark and Elder Minnie Kenoras. 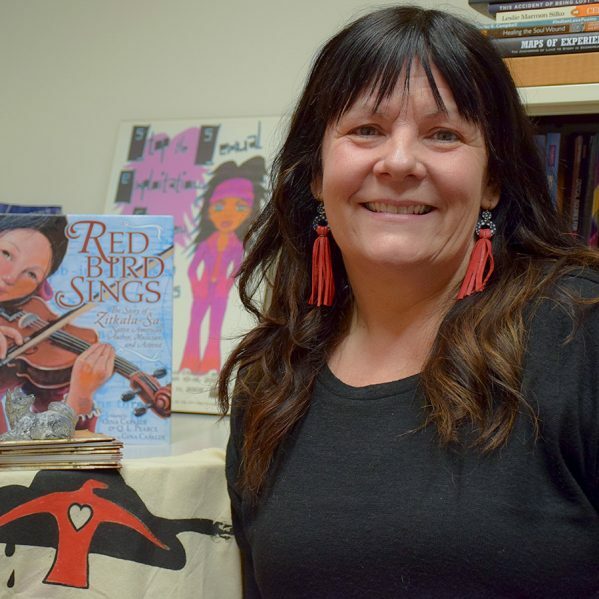 The emotional health and wellbeing of Indigenous youth has long been the driving focus behind Dr. Natalie Clark’s research program. That research program has now been boosted by a Social Sciences and Humanities Research Council Indigenous Research Capacity and Reconciliation Connection Grant, and the impact of this will be felt right here, right in the community, by Indigenous girls who will write their own Calls to Action. “In spite of the fact that colonialism has a history of gendered violence against women and girls, there is no direct reference to this in the TRC (Truth and Reconciliation Commission). 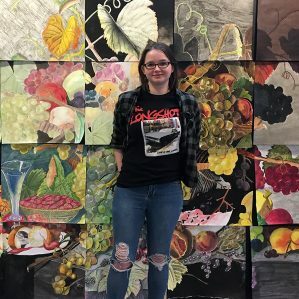 “We will have these girls create an art-based response to the Calls to Action, written in their own voices,” said the Associate Professor of Social Work. Clark’s project, Cu7 me7 q’wele’wu-kt, translates to “Come on, let’s go berry-picking,” and is an intergenerational, land-based research program that expands upon a weekly girl’s group that currently operates in the Neskonlith community, and will include a network of Indigenous girls’ groups in the Kamloops-Thompson School District. Groups like this support truth and reconciliation through the promotion of healthy relationships with one another, with their communities, and with other adult women. The group is facilitated by Clark and by Elder Minnie Kenoras. “We’re supporting the girls in becoming knowledge holders and researchers by bringing them together, on the land, with their elders and their aunties,” she said. 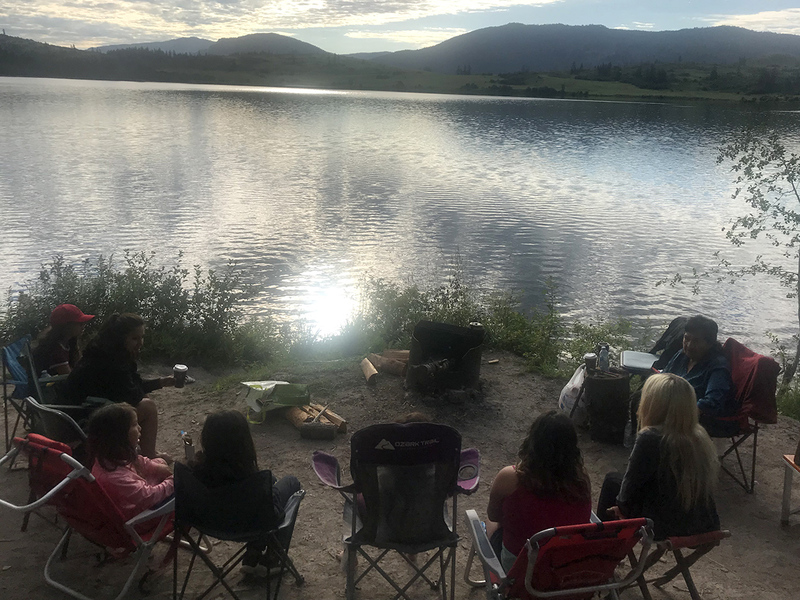 The grant not only allows Clark to expand the program, and provide for a five-day camp at Neskonlith Lake this summer, it means the girls will also attend Congress of the Humanities and Social Sciences 2019, which will be held at UBC in June. The event brings together academics, researchers, and policy makers, and the girls will share their findings with other Indigenous youth at the Indian Residential School History and Dialogue Centre. Also funded through this competition is a project led by Dr. Darlene Sanderson, Assistant Professor, School of Nursing. This project, “Building research capacity through the sharing of St’kemlupsemc to Secwepemc Nation Elders’ teachings about water: Inspiring Indigenous youth, community members, educators and water policy development toward reconciliation,” begins with a Water Connections event, which brings together local elders and knowledge holders, with youth to develop a water action plan that will later be translated into Secwepemctsin.